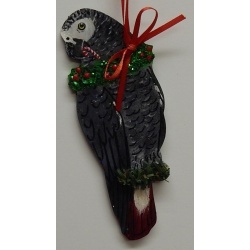 An African Congo Grey hand painted wooden ornament for your Christmas Tree. This will be sure to get you in the holiday spirit! The hand painted detail is just absolutely stunning!!! This ultra slim wallet is gorgeous. 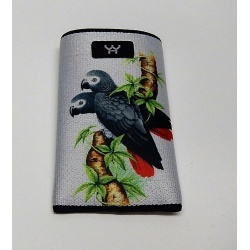 The african greys are absolutely stunning in this wallet. This will fit about 10 credit cards and some cash. 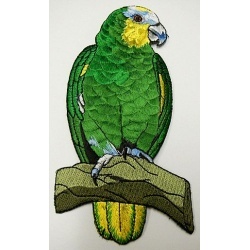 You can use this as a gift card holder for all your bird loving friends! This wallet has only one opening to slide your cards into. 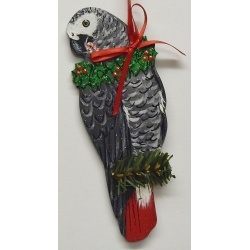 An African Grey ornament for your Christmas Tree. This oval ornament is made out of porcelain. This will be sure to get you in the holiday spirit with the festive holiday wreath! 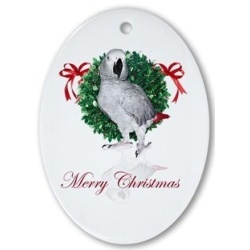 An African Grey Reindeer ornament for your Christmas Tree. This round ornament is made out of porcelain. 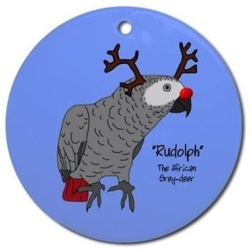 This will be sure to get you in the holiday spirit with Rudolph the African Grey-Deer! 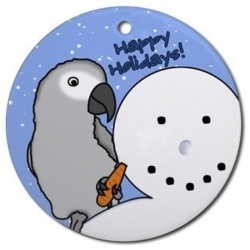 An African Grey Snowman ornament for your Christmas Tree. This round ornament is made out of porcelain. This will be sure to get you in the holiday spirit with Frosty the Snow Man! 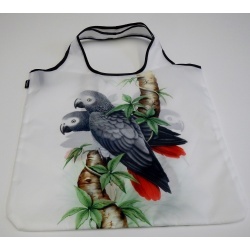 The African Grey Tote Bag is very stylish. You can take this bag everywhere to carry your belongings. It is very light not to mention the beautiful graphics on both sides of the bag. You will be sure to get compliments with this bag. It is very light, machine washable, water resistant and 100% polyester. An African Timneh Grey hand painted wooden ornament for your Christmas Tree. This will be sure to get you in the holiday spirit! All My Kids Have Fur! This attention getting rectangle magnet not only is stylish but will help hold up those important notes you need to keep in your view! 6 in. L X 2 3/4 in. W approx. A macaw bagel as the base with 2" bagels and a tube bagel hidden inside with a solid plastic ring. The sides have plenty of ice beads, chunky bagels plastic discs and solid wooden wheels at the end. At the bottom is a big bell for them to ring when it's dinner time! 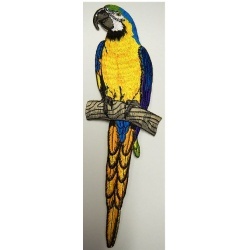 All hung on leather and pieces of preening rope to play with!! If you like red and green this is the toy for you. Green beads to play with, soft red wood pieces to chew on and two bells to grab your attention with!! 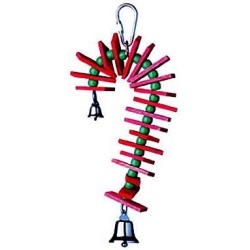 Decorate your birds cage with this festive toy they will love it! 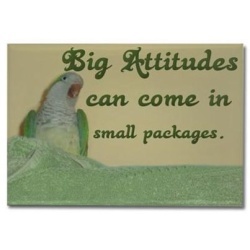 Big Attitudes Can Come In Small Packages. This cape is perfect for hanging out with your feathered friend. Do you enjoy hanging out watching some tv with them? There is a hidden treat pocket in the front of the cape for some added fun and games. 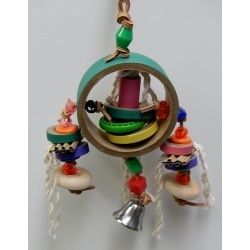 There are two loops where you can attach your own toys or keep the toys included which have plastic beads and bells. You choose what you want to have on this. The cape is made of cotton fabric and is machine washable which is good news if your friend makes a little mess. This cape is an extra layer of protection for your shirt. It will keep your clothes from getting messy! 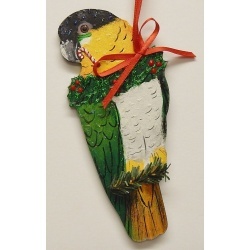 The width of the fabric is about 7"
A Black Headed Caique hand painted wooden ornament for your Christmas Tree. This will be sure to get you in the holiday spirit! 9 in. L X 3 in. W approx. 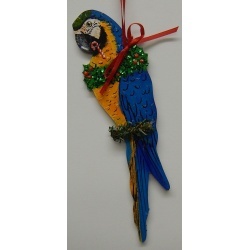 A Blue and Gold Macaw hand painted wooden ornament for your Christmas Tree. This will be sure to get you in the holiday spirit! 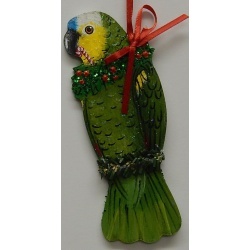 A Blue Fronted Amazon hand painted wooden ornament for your Christmas Tree. This will be sure to get you in the holiday spirit! 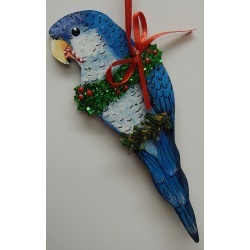 A Blue Quaker hand painted wooden ornament for your Christmas Tree. This will be sure to get you in the holiday spirit!